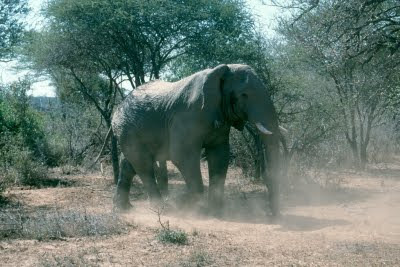 TravelComments.com Official Blog: De Beers Group to move 200 elephants from South Africa to Mozambique! De Beers Group to move 200 elephants from South Africa to Mozambique! Diamond producer De Beers Group and the Peace Parks Foundation, a leading not-for-profit organisation focused on the preservation of large functional cross-border ecosystems, have begun to move 200 elephants from Venetia Limpopo Nature Reserve (VLNR) in South Africa to Mozambique. During the first phase of the project, approximately 60 elephants will be transported in July 2018 and August 2018 from the VLNR to Zinave National Park in central Mozambique. The remaining approximately 140 elephants will be moved to conservation areas that hold sufficient elephant carrying capacity within Mozambique from 2019. De Beers-owned Venetia Limpopo Nature Reserve (VLNR), which is located about 80 km from Musina im Limpopo and forms part of Mapungubwe National Park, covers an area of 320km². It can accommodate around 60 elephants without causing extensive damage to the Nature Reserve's ecosystem. As a result of natural population growth, VLNR is currently home to 270 elephants. The elephant population in Mozambique's Zinave National Park, which covers an area of 4080km², is estimated to be around only 60 animals. The elephant population in Mozambique was badly hit by a 15-year civil war that ended in 1992. In more recent years, elephants in the country are threatened with extinction because of poaching.